The first appearance of Endothia parasitica in Europe was announced in Italy in the province of Genova by Professor Paoli in 1938, and the parasite was identified by Professor A. Biraghi of the Plant Pathology Station of Rome. By 1939 the infection had extended from the province of Genova to the bordering province of Alessandria. Sanitary measures considered sufficient to control the infection were adopted immediately but the disease continued to spread rapidly. By 1940 the disease had appeared in the province of Udine in serious form. It can readily be seen from the accompanying map that many of the most important chestnut-producing areas in Italy have been infected by this disease in the ten years following its discovery. The situation is especially serious along the Apennine Range from Liguria to Tuscany where the nut-producing chestnut forests cover a great deal of hill country and represent one of the principal economic resources. The chestnut assumes more importance in Italy and those countries bordering on the Italian frontier and on the Mediterranean basin than in other European countries. This can be readily seen from the geo graphical distribution of the chestnut in Europe. It extends into a zone outside the area influenced by the Mediterranean climate, but it is only in the Mediterranean regions of Europe that it can be cultivated as a nut-bearing tree to any considerable extent. The chestnut thrives where there are warm summers and mild autumns with lengthy days of sunlight, freedom from late frosts, and a relative abundance of rainfall - conditions to be found in the hilly regions of the Mediterranean countries. In Portugal, where the maritime climate with its high moisture content makes it possible to cultivate the chestnut in non-hilly country, the area covered by the chestnut is 85,228 hectares. In this country the chestnut is used principally as a source of timber and, to a less extent, for its nuts. Chestnut timber production is estimated at 426,000 m³ i.e., 4.8 percent of the total timber output of Portugal. Cultivation of chestnut in Spain is limited by its moisture requirements. It is found chiefly in the Pyrenees and Biscay. Here it is grown, principally for its nuts, in numerous chestnut groves and sometimes on pasture or farm land. According to statistics for 1933, the total area covered by chestnuts amounted to about 55,000 hectares. This area has certainly decreased, especially in the northern provinces where the chestnut was most prolific, because the ink disease caused by Phytophthora cambivora has seriously affected the groves in the last twenty years. In France, according to Statistique Agricole Annuelle for 1945, nut-bearing trees covered an area of 169,714 hectares, producing 110,562 metric tons of chestnuts. Here also, it is reported that the ink disease has very seriously affected the groves. The Island of Corsica contains the most extensive area of chestnut groves with economic importance, about 30,000 hectares. In Switzerland, the chestnut is important only in the south, i.e., in the southern Grisons where chestnut groves cover an area of 9,405 hectares. The total number of trees is 886,000 and about 7,500 metric tons of chestnuts are produced annually. In Greece, chestnuts cover an area of about 28,350 hectares, of which 15,285 hectares are in coppice forests. This area represents 1.5 percent of the total forest area of the country. In Yugoslavia, the most important chestnut region is Dalmatia, where there are about 51,000 hectares of groves. Chestnuts are also found in those parts of Croatia and Slavonia which have mild climates, though not to the same extent as in Dalmatia. There are no accurate data regarding the area covered by chestnut groves in Albania. The nut-bearing chestnut groves in Italy cover an area of about 450,000 hectares and, in addition to these, there are 400,000 hectares of chestnut coppice, so that a total of 850,000 hectares is devoted to this species. The province of Cosenza alone has 33,416 hectares of nut-bearing chestnuts, the province of Lucca 39,590 hectares, the province of Cuneo 48,000 hectares, and others more. Thus Italy has the largest chestnut-producing area in Europe. Blight on chestnut sprouts near Genoa. The production of chestnuts in Italy during the period from 1909 to 1913 averaged about 640,000 metric tons per year. From 1922 to 1925 it fluctuated around 500,000 metric tons per year, and from 1934 to 1936 it decreased to 350,000 metric tons. It is estimated that this last figure represents the present yearly production. Although the production of chestnuts has decreased considerably (for various reasons, such as the damage caused by the ink disease), it still represents a considerable economic factor. The value of the chestnut, as a nut producer, is exceeded only by the production from grape vines and olive trees. In addition, the export of chestnuts represents a favorable item in the Italian balance of trade. During the last twenty years exports of chestnuts fluctuated around 30,000 metric tons per year. Chestnuts are not used entirely for human consumption. The nuts and the forage plants which are found among the open-grown trees in the chestnut groves provide an important source of fodder. The wood is used for fuel, construction, and manufacturing, but is of particular importance as the basic raw material for the tannin extraction industry which takes about two-thirds of the annual wood production. * Total production is estimated at 600,000 to 700,000 m³ per year on the basis of 1.5 m³ of timber per hectare of chestnut grove or forest. *At present there are 31 plants in Italy producing a yearly average of 40,000 metric tons of dry extract, having 60 percent tannin. The coppice chestnut forest, which covers about 400,000 hectares, represents one of the most characteristic aspects of Italian forestry and provides timber for agricultural, industrial, and domestic purposes. The earliest cuttings from chestnut coppice can be obtained in one or two years and are suitable for making baskets, wickerwork, small poles, etc. Later cuttings, up to a maximum of 25 to 40 years, yield timber for construction and manufacturing and, in particular, for telegraph and electric poles. The Italian chestnut coppice, especially in the volcanic soil of southern Italy, is highly productive and quite often reaches or exceeds a growth of 15 to 20 m³ per hectare per year. Assuming that the average increase on the total area is only 6 m³ per year, the total yearly production from coppice forests can be estimated at 2,400,000 m³. The chestnut trees in Italy are found principally in hilly country where they cover the slopes, protecting the soil from erosion. They are the source of employment and income for dense populations which, in the hill regions, depend upon them for a living. Under these circumstances, it is easy to understand why the occurrence and spread of the chestnut blight in Italy following the serious damage already caused by the ink disease is a national calamity. The fight against this disease is one of the most important projects of the Italian Ministry of Agriculture and Forestry. An extensive research and experiment program has been assigned to the Silvicultural Experiment Station at Florence and the Plant Pathology Station in Rome. Liguria: The whole of the provinces of Genova, Alessandria (1938), and more than half of the adjoining province of Savona (1938-1948). Piedmont: Province of Cuneo; fairly extensive area at Bagnasco; a few trees at Chiusa Pesio and Mondovi (1948); province of Turin; two trees at Traves (1948); province of Vercelli; a small area near Biella (1948); province of Novara; all the eastern side of the Lake of Orta (1948). Lombardy: Province of Pavia; fairly large areas at Varzi and Ponte Nizza (1946) and a few trees at Cilavegna (1948); province of Como; areas near Chiasso (Swiss frontier) and elsewhere towards the east (1948). Venezia: The whole province of Udine (1939-1946). Emilia: Province of Parma; small areas in the Taro Valley (1947-1948); Province of Modena; a fairly large area at Fanano (1947); province of Bologna; few trees at Gaggio Montano (1948). Tuscany: Province of Apuania; a large area at Fivizzano (1947); province of Lucca; large and small areas in half the eastern side of the province adjoining the province of Pistoia; province of Pistoia; a large area at Cutigliano where the disease is spreading with great rapidity (1946-1948) and adjoining areas at Piteglio and S. Marcello; province of Florence; one tree near Vallombrosa (1948). Latium: Province of Rome; a fairly large area at Velletri (1948); province of Latina (formerly Littoria) adjoining Velletri; many small areas on the hills surrounding the reclaimed Pontine marshes (1946); province of Frosinone; small areas adjoining the previously mentioned ones at Ceccano and Veroli (1946). Campania: Province of Avellino; the initial area severely infected at Baiano (1943) has spread to the western side of the province and small areas are to be found in the adjoining provinces of Benevento, Caserta, Naples (1947) and Salerno (1948) on the borders of the province of Avellino (1947). Generally, all the newly discovered areas show blight which must have started about four to five years ago. In the province of Pavia the infected area of Cilavegna is very interesting because the chestnut trees existing there form a small group of old trees quite isolated from any other chestnut grove. The place is situated in a rice-growing district and the only other trees existing are poplars. The blight is located on the higher branches of the chestnuts and there is strong evidence that Endothia parasitica must have been carried there by birds. The rate of spread of the disease in the province of Avellino is amazingly slow as only a few infected trees can be detected over a large area. This is an interesting contrast to the severity observed in the initial area. Probably the slow rate of progression in the remainder of the district is due to climatic factors. Winds are rare, the atmosphere is very damp, and winters are mild. The essentials of the program are listed below. The four divisions of the program are as follows: (1) Preventive and curative experiments; (2) Search for resistant varieties of Castanea saliva; (3) Introduction of oriental species of Castanea; (4) Hybridization. At first, certain legislative measures were adopted to eliminate the disease: cutting and burning the affected trees, disinfesting the soil, prohibiting the export of timber and of other chestnut products, etc. These measures proved to be ineffective, however, due to the vastness of the affected areas and the ease with which the parasite spread. They have been discontinued because, in addition to being economically unsound, they were useless from the plant health point of view. An endeavor to find a direct cure was made in the province of Alessandria where infected branches were pruned and later burned. The blighted bark of the trees was cut out and iron sulphate solution was poured over the cut surface, but after one year this method proved to be completely ineffective. Another method is to spray or pour various fungicides over the trunks of the trees. Many tests were made in the United States, but the results were not satisfactory. Nevertheless, it was considered advisable to persist in a trial of these methods in Italy. Last year, spraying with copper sulphate was tried out, and the trunk was injected with solutions of copper sulphate in various forms. The results have so far been negative, but injections of other fungicides will be tried. An indirect method of attacking the disease has also been started which could be both preventive and curative, namely, the use of inorganic fertilizers. In this regard, it is worth recalling the research work carried out in the United States by Dr. A. H. Graves, as a result of which it appears that the concentration of the protoplasm is a physiological characteristic of great importance with regard to resistance. Chemical fertilization can act in such a way as to increase this concentration apart from its effect on the vigor of the tree. 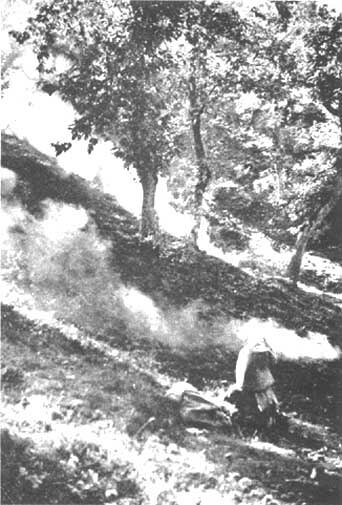 It is still too early to draw any conclusions from the results but no great hopes are being built on the possible success of this method, especially since the chestnut blight has developed with the same intensity and persistence on the volcanic soils in the province of Avellino, which are very fertile and contain large quantities of phosphorus and potassium (elements required by the chestnut tree), as on poor soils. Another method being tried out is the use of the so-called minor elements, such as boron, manganese, etc. Here again, no great hopes for success are being held. Owing to the importance of these experiments it is intended to persist with the trial of the curative methods, but nothing can be stated at present as to their effects, cost, or possibility of practical application. The search for resistant varieties of Castanea dentata in the United States has given rise to both hope and disappointment since no positive results have as yet been achieved. Can the Castanea sativa, with its innumerable varieties cultivated in Europe, offer more hope of finding an isolated resistant variety? Burning chestnut burs to produce potash for soil improvement. Up to now many varieties of the European chestnut have been introduced into the United States, but all have proved to be susceptible to infection, though to a lesser degree than the American chestnut. During the first ten years of the blight in Italy, it was found that numerous varieties of the nut-bearing chestnuts, including the wild chestnuts found in different infected regions, had all been attacked. Infection occurs in both high forest and coppice stands. However, the importance of finding a resistant strain among the mass of varieties of Italian chestnut trees necessitates continuance of the search. Therefore, cultivation of about 130 varieties of chestnut coming from all parts of Italy has begun in the forest nursery at Masone in the province of Genova, one of the places most seriously attacked by the disease. An experimental arboretum will be set up next autumn in the same locality to test the degree of resistance of the seedlings obtained. At the same time, accurate observations will be recorded in order eventually to identify the resistant varieties. Experience with the blight in Spain. Experience gained in Spain encouraged the Italians to persevere. The Italian Study Mission to Spain composed of Professors Pavari, Biraghi, and Morettini went to Biscay in February 1947 to study the experimental cultivation of oriental chestnut trees conducted by the Institute of Experimental Forestry of Madrid. Blight existed on many of the Castanea crenata of the Tamba variety. However, on the trees of the indigenous varieties of Castanea sativa which existed in the immediate vicinity of the oriental chestnut plantation there was no sign of the blight except in the case of one tree which, although infected, evidenced a high degree of resistance to the disease. This fact was so surprising that the Spanish scientists were doubtful whether it really was an infection of Endothia parasitica. 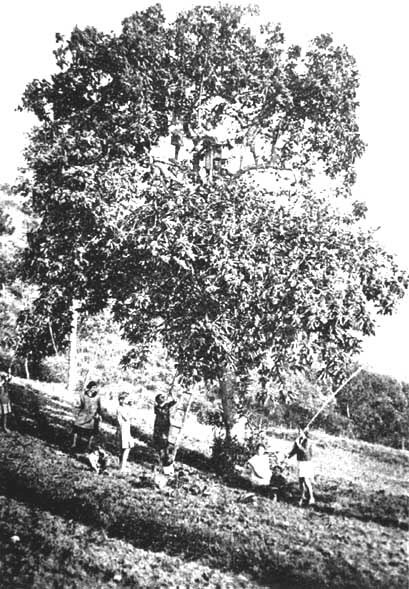 On the occasion of another trip made during the fall of 1947, under the auspices of FAO, Professors Biraghi and Pavari confirmed not only the complete absence of infection on the Castanea sativa but also succeeded in gathering material from which Professor Biraghi has isolated the parasite in pure culture and has found its identity to be the same as that present in Italy. Its pathogenicity is being tested on chestnuts in Italy, and Professor Biraghi has arranged with the Forest Research Institute of Madrid for the inoculation in Spain of the Spanish Castanea sativa with both the Italian and Spanish strains of Endothia parasitica. The two principal centers of infection, at S. Roque and Elorrichueta, both in the province of Bilbao, are restricted to the Tamba variety, while the Shiba variety of the Castanea crenata showed no sign of infection. What is more surprising, however, is that the disease has not extended to Castanea sativa although the infection dates back many years and the climate, being relatively mild in winter with abundant and frequent rainfall, offers the most favorable conditions for the spread of the disease. The enigma may be solved by inoculating the Spanish chestnut trees with the fungus, or by cultivating them in infected areas and comparing them with the types of native chestnuts which have been attacked by the disease. For this reason about 100 kilograms of Spanish chestnuts were shipped to Italy from Biscay, which is very near the centers of infection observed by the Italian Study Mission, and from the provinces of Burgos and Gre nada. The chestnuts have already been planted in the nursery at Masone. Long before the appearance of Endothia parasitica in Italy, as far back as 1919-1920, the Japanese chestnut Castanea crenata was introduced into Italy because of its resistance to ink disease. 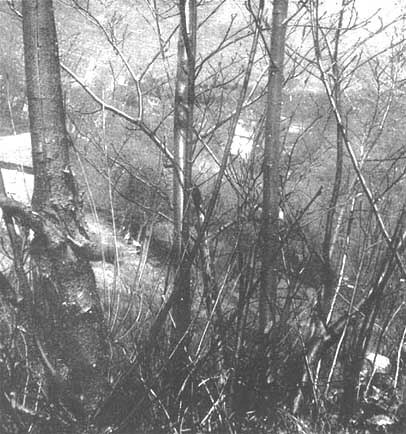 The Silvicultural Experiment Station at Florence, with the co-operation of the Italian Forestry Corps, set up several experimental plantations throughout Italy with varying results. On the whole, the Japanese chestnut, being very sensitive to winds, snow, late frosts, and, above all, to droughts, proved to be more exacting than the indigenous variety - particularly as regards soil fertility, moisture, and climate. The problem of acclimatization of the Castanea crenata has not been solved, although in Italy there are certain excellent nut-bearing trees, especially of the Tamba variety. It is agreed that the term "Shiba" is too simple for designating the wild type of Japanese chestnut bearing small nuts, as is the term "Tamba" for the type having larger nuts, since in Japan from 70 to 80 distinct varieties of nut-bearing chestnuts are known. The importance of source, which is particularly significant with respect to acclimatization, is equally so with regard to resistance to Endothia parasitica which even in the United States showed variation from case to case. In the groves of Castanea crenata existing in areas attacked by the blight it was noted that some of the Tamba and some of the Shiba varieties were attacked in varying degrees and there were also cases of complete immunity, at least up to the present time. These facts justify continuation of experiments with Japanese chestnut trees in Italy on a larger scale, especially because of the ascertained resistance of the Japanese varieties to the ink disease and their possible resistance to Endothia parasitica. The Chinese species Castanea mollissima shows definite proof of resistance. Since this species was not previously introduced into Italy, immediate steps were taken to secure both seed and cuttings for grafting, and in this work support was obtained from American scientists, especially from Dr. Graves and also from Messrs. Gravatt and Clapper of the United States Department of Agriculture who sent this valuable material to Italy. The Italian Study Mission which went to Spain expressly for the purpose of gathering oriental chestnuts secured considerable quantities of Castanea mollissima seed, as well as cuttings for grafting, through the courtesy of their Spanish colleagues. Finally, last autumn through the help of Mr. Han Ngan, Director of the National Forestry Research Bureau in Nanking, it was possible to secure 40 pounds of Chinese chestnuts of the two varieties Liang-Shang and Mao-Li. Although the chestnuts were shipped by air, they suffered considerably during the trip. However, they have been planted in the nursery at Masone. From the province of Bilbao some Korean chestnuts also have been secured. This is quite a distinct type having characteristics between Castanea crenata and Castanea mollissima. It may even be a variety of the first, though this has not yet been definitely established. It is certain that, as in the United States and Spain, the Korean chestnut is resistant to the blight and is even more vigorous than the Chinese chestnut. The results of the experiments with the Chinese chestnut and the Korean chestnut under the various ecological conditions in Italy are awaited with great interest, especially as it is believed that these two chestnuts have a greater resistance to cold and drought and need less fertile soil than the Japanese chestnut. The intensive work carried on at present by American scientists in the hybridization of Castanea dentata with the resistant oriental species is serving as an example for similar work in Italy and should be followed with perseverance and on a large scale even though the aims differ. The American chestnut is appreciated first of all as a forest tree for its dimensions, the form of its trunk, and the quality of its wood. In these respects the Oriental chestnuts - especially the Chinese species - are much inferior to the American species. Therefore, the purpose of hybridization work in the United States is to produce hybrids which offer the same degree of disease resistance as the Chinese or Korean chestnut, together with the timber qualities of Castanea dentata. This task is very difficult because resistance is introduced by the prevalence of the characteristics of the Oriental parents in the hybrids and it is difficult to avoid the concurrence of biological and morphological characteristics. In Italy, the problem is less difficult because the objective is to obtain regular production of nuts of good quality in large quantity from trees adapted to local ecological conditions, rather than any particular tree form. Since the Chinese and Korean chestnuts appear satisfactory as producers of nuts, it is logical to assume that the prevalence of their characteristics in the hybrids will ensure the desired resistance and, at the same time, a good nut-producing capability. Through the co-operation of Dr. A. H. Graves, a shipment of cuttings from hybrids developed by him was sent to Italy for grafting, and it is thought that other valuable material can be obtained from the United States in future years. For the work of hybridization in Italy, pollen was gathered at first from different varieties of Castanea crenata and Castanea sativa in the United States and subsequently pollen from American-Oriental hybrids (i.e., with Castanea mollissima, Castanea crenata, Castanea pumila, and Castanea seguinii) was sent to Italy. Because of the delayed arrival of the pollen, the season was too far advanced for pollination and the results were not very satisfactory. However, in October 1947, a limited number of nuts were obtained which have already been planted. In the spring of 1948, Mr. Gravatt sent pollen from the plantations in Georgia, where blossoming is earlier, in time for securing pollination. Work in Italy is continuing and it is hoped that a specialized chestnut research center will be established for the purpose. Photos by courtesy of AVV. Ermanno Biagini, Florence, and Dr. Lucidi.